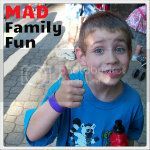 MAD Family Fun: Wolf Lake, FREE and fun!!! Wolf Lake, FREE and fun!!! We were looking for something fun to do and we came across Wolf Lake State Fish Hatchery. Now I know some of you might be thinking, what the heck!?! Well in Michigan we have lots of water and the DNR helps keep those bodies of water stocked with fish that have for various reasons, such as over fishing and habitat destruction, been impacted. There are only 2 visitor centers at hatcheries in this state and we are lucky enough to live near one. The interpretative center is beautiful and the displays are interesting, educational, and hands on! The staff was amazing and the grounds had a wonderful pic-nic site with tables. We picked up a "family scavenger hunt" backpack at the front desk. It came with a list of questions, binoculars, bird id book, band-aids (just in case) and a 2 way radio (just in case.) We headed out to complete our hunt and had some wonderful adventures. Upon returning the backpack and our hunt, we were rewarded with a very nice nature poster. One of the highlight of the hatchery is the "show pond." Each visitor is give 1 token for food to feed the amazing fish in the pond. Let me tell you a tip, bring quarters and lots of them!!! Feeding these fish are fun!!! While on our scavenger hunt we saw lots of wildlife. This place is a bird watchers paradise and they even have a bird watching platform on the grounds. We enjoyed hearing the bull frogs located near there. 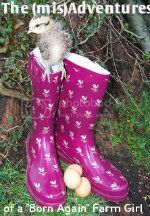 If you go, make sure to take the hatchery tour. It is not only educational but very fun. We learned how they collect the eggs, hatch them and rear the young fish. Do NOT buy ones of these!! Pets you don't have to feed? ROCK on!!! Cruise Directing 101 - Be prepared!!! 275, 300, 325 and more???? Get ready to celebrate Cinco De Mayo!!!! !